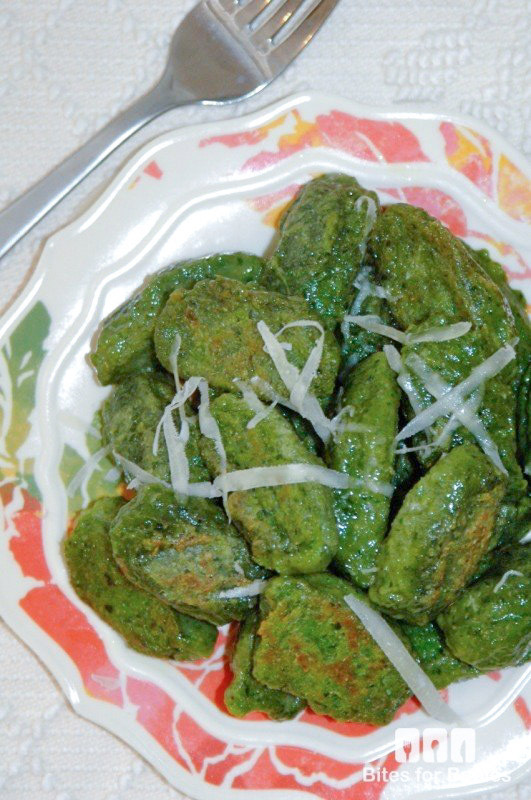 These nutritious spinach ricotta gnocchi made a great transitional recipe when my son was ready to move beyond purees. These soft, pillowy morsels are delicate in flavour yet loaded with nutritional, wholesome ingredients. 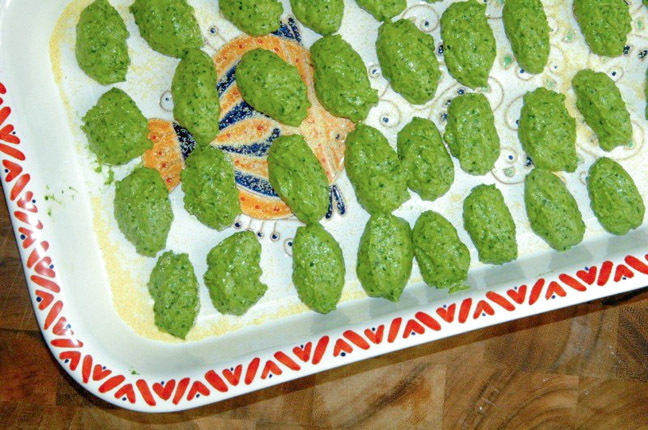 They’re made with iron-rich spinach and creamy omega-3–rich ricotta cheese and packed with protein and other essential vitamins. They are light yet satisfying, soft and pillowy, and were perfect for my son’s little hands to grab and munch on! They are ideal for baby-led weaning or for babies twelve-plus months who are learning to eat by themselves. The great thing about preparing these is that you can adjust the size of the gnocchi depending on your preference. You can shape them into small two-bite morsels for self-feeders or large pieces for toddlers three years and up so they can master their skills using a fork and a kid-friendly knife (as my son does!). 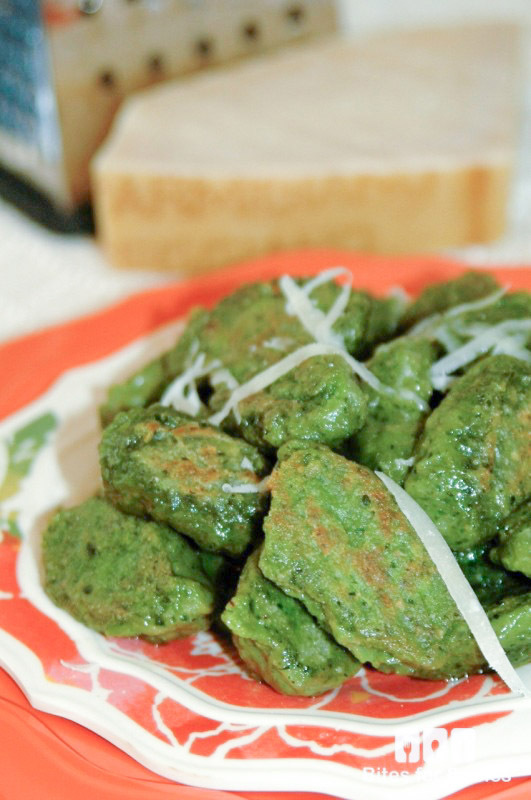 As much as these gnocchi are delicious, they are also so easy to make! This is a great meal to make for the entire family or for dinner guests, and the fact that it is baby friendly means that baby can enjoy the exact same dinner that Mom and Dad are eating! Why prepare a separate meal for your baby when they can enjoy the rich and delicious flavours of these gnocchi with you?! 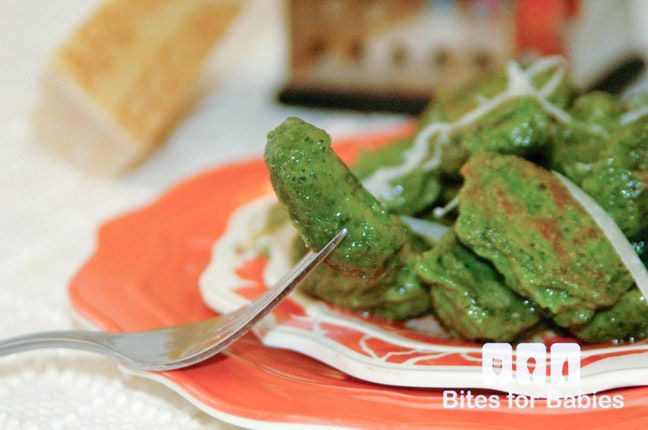 This recipe goes a long way and easily serves a family of four to six. If preparing only for baby, you can halve the recipe or, even better, serve a portion to baby and store the remaining gnocchi in the freezer for a quick, already-made meal for those busy weeknight evenings. There are a variety of ways that you can prepare these: light and fluffy for self-feeders or crispy and browned for toddlers. Here are some suggestions for preparation. Whichever method you use, you should, once prepared, place the gnocchi in a large baking pan or dish, dusted with cornmeal (just enough so they don’t stick to the pan). Place them in the fridge to chill for about an hour. Chilling them facilitates the shaping process during preparation. Step 1: Roll into a log and place on a cutting board generously dusted with flour. Cut the log into two-inch pieces or as desired. Step 2: Prepare quenelles (a fancy term for football-shaped gnocchi). 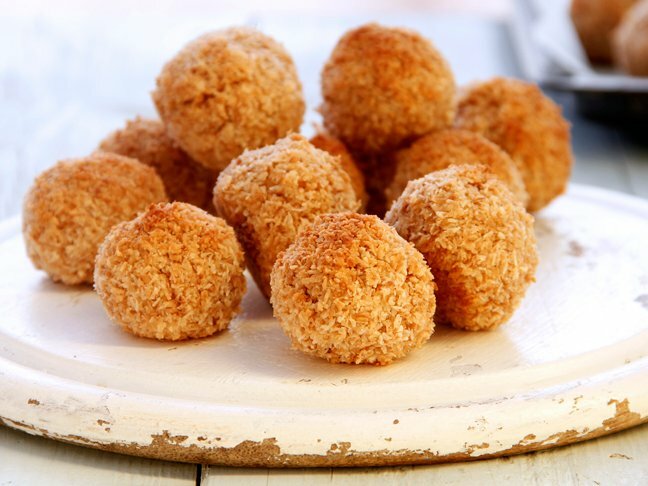 Step 3: Roll into bite-sized balls, roughly the same size as mini-meatballs. extra virgin olive oil: 1 Tbsp. **If using low-fat, you will need to adjust the quantity of flour. Be sure to strain the ricotta in a sieve or cheesecloth overnight to remove as much excess water as possible before preparing this recipe. 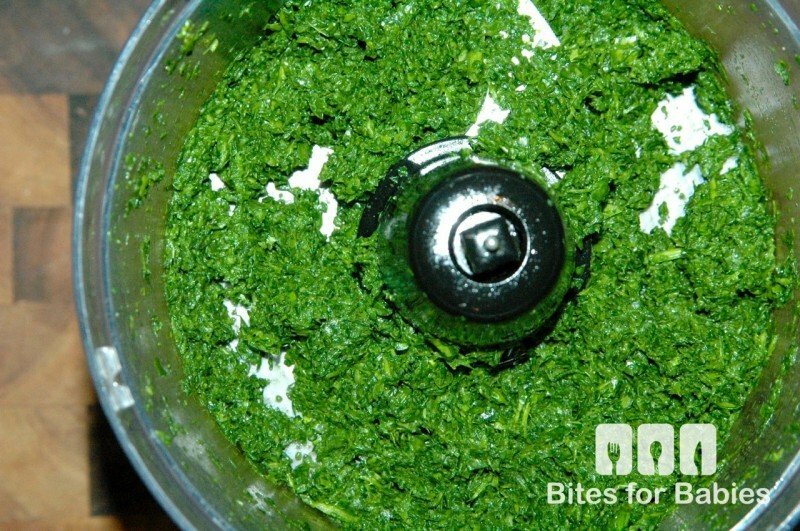 Step 1: Blend spinach in a large food processor with the olive oil, ricotta, nutmeg, and parmesan, until smooth and creamy. Add the eggs, one at a time, blending each time, until thoroughly combined. Step 1: Boil in a large pot of boiling water for 2–3 minutes. 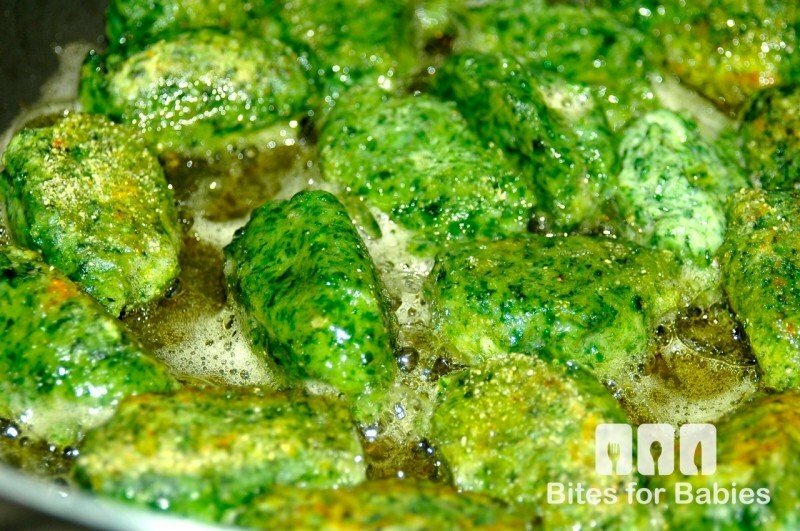 Once the gnocchi rise to the top of the water, they are cooked and need to be removed immediately. 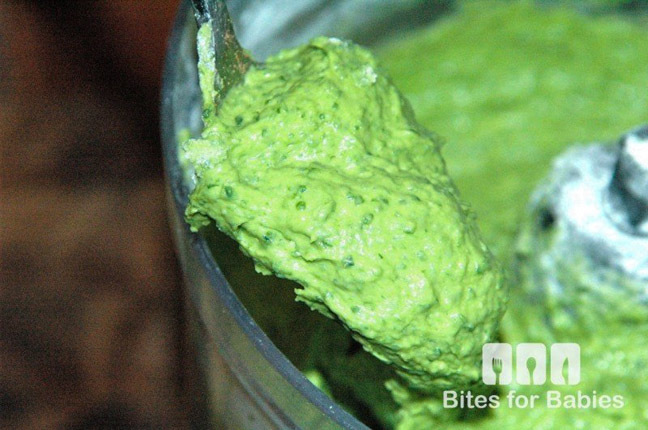 This method is best for babies or self-feeders since the gnocchi remain super soft and pillowy. Step 2: Boil (as per #1), then add to a frying pan coated with equal parts extra virgin olive oil and butter and saute for 4–5 minutes, tossing constantly, until browned and crispy (pictured below). Step 3: Serve with warmed marinara sauce or keep them fresh and simple, garnished with freshly grated parmesan cheese.